For added elegance to your outdoor space look no further than the Carol Rose Coastal Fire Pit Burner.Its stainless steel design provides durability and class. Coming in both 46-inch and 60-inch options, you can install this burner into your own custom fire table. 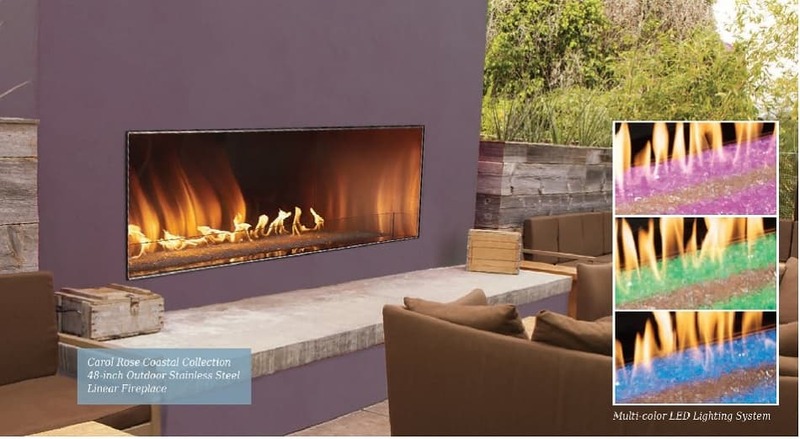 The Carol Rose Coastal Fire Pit Burner has the option of adding an LED lighting system, even when the fire isn’t going this pit can add a clean aesthetic to your outdoor space. Burning at up to 65,000 BTUs, the fire will bring added warmth on cooler nights. Optional for your fire pit is a wind deflector to keep the flames going even on a breezy day, and a weather cover that prevents the elements from getting to your fire pit. Fire table enclosure is not included with burner.